In collaboration with Peter DiMuro and The Dance Complex, “Dance Happens Here” was an event created to celebrate the 25th anniversary of the Dance Complex and its place at the center of the greater Boston dance community. 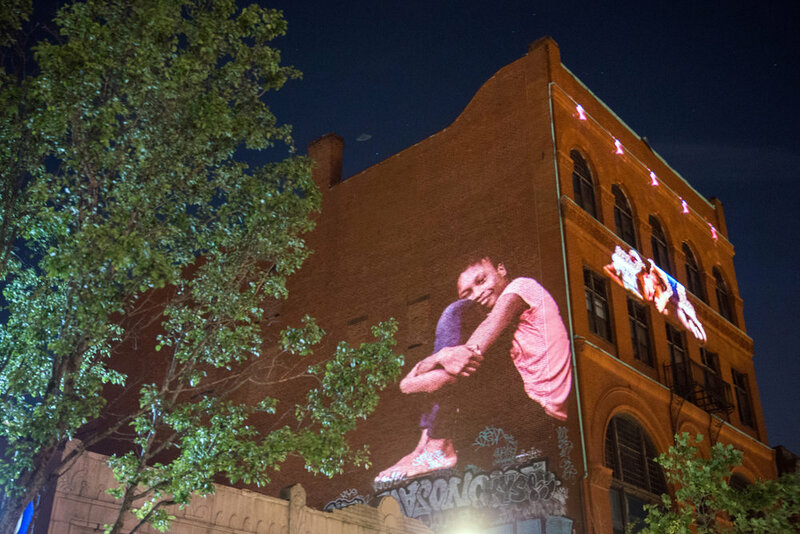 Masary worked with Peter and the teaching dance artists of The Dance Complex to create a 25 minute projection mapped dance choreography designed to be projected on the Dance Complex exterior. 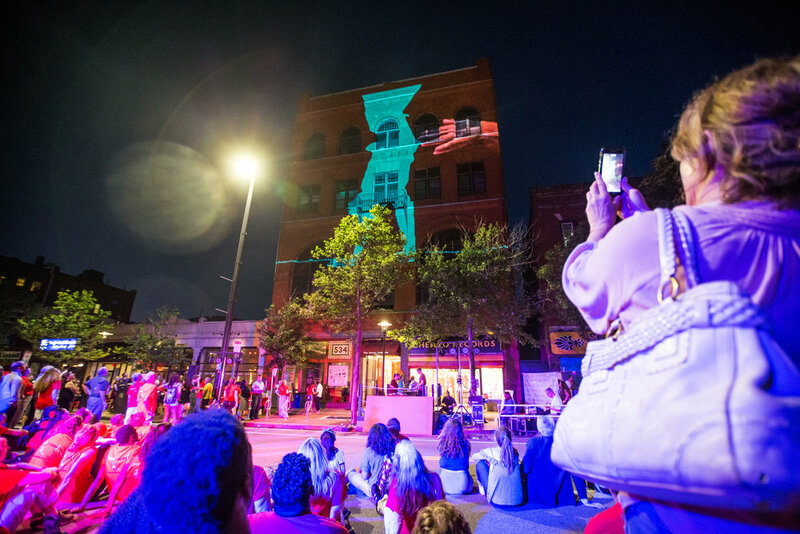 The event included free community dance classes, a 100 person dance flash-mob, musical performances, and it all culminated in the illumination of the building with the video dance piece titled “Dance Happens Here.” The video played as a loop for three nights.